NOISE POLLUTION IN ACCRA, CAUSES, EFFECTS AND SOLUTION. As much efforts is being put in developing Accra into a modern city, issues like noise pollution are having a negative impact on its livelihood thus the need to take adequate steps to curb the menace as businesses and residents are in danger of continually suffering from the adverse effects of noise pollution. During the last thirty years, there has been increasing concerns with the quality of the environment. Along with air and water contaminants, noise pollution has been recognized as a serious pollutant. The word “noise” is said to be an “unwanted sound” and it is cognate with the Latin word “nausea” which means disgust or discomfort. Noise pollution is therefore the excessive or displeasing sound that may disrupt the activity or balance of human or animal life. It is also said to be the disturbance to the human environment that escalating at such a high rate that will become a major threat to the quality of human lives. Noise in all areas especially in urban areas like Accra, Kumasi, Takoradi to mention a few have been increasing rapidly. Accra been the capital, noise making has grown to unbearable proportion, with churches and traders being the worst culprits, this has also been extended to some homes where sound systems are being played so loudly that they disturb their neighbors and the area. Nelson (2010). According to Accra Metropolitan Assembly (AMA), it is clear that many residents are ignorant of the permissible noise levels in their areas. Pollution has become a major problem facing many residents of the national capital, including places which are regarded as first-class residential area like east Legon. Sound is essential to our daily lives but noise is not. Not all noise can be called noise pollution. If it does not happen regularly, it may be termed as “nuisance”. In writing this paper, I have identified two major sources of noise pollution in Accra; these are the indoor and outdoor sources. Indoor sources are those sources of noise pollution within or at a particular place; they are the kind of unwanted sound caused by household gadgets like television, radio and babies crying and produces lesser noise than those of the outdoor sources. Outdoor sources, it is summarized by the word “environmental noise”. This is caused by transportation systems like motor vehicles, construction work, social centers (pubs, hotels, bars, churches) market places etc. in reality; these are the major sources of noise pollution in Accra and thus hold the most threats to inhabitants. On any normal day, it is difficult if not impossible not to come into contact with pollution from any of these sources. Churches, markets, bars and traffic flows are the worst culprits. With the increasing number of churches every day, the degree of noise they generate not just on Sundays but the weekly basis like revivals, crusade are just unbearable. In a sharp contrast to the nature of churches, the number of bars, pubs is also increasing. These centers play loud music at every hour of the day making residents not just uncomfortable but having sleepless night and stressful days. The degree of noise pollution is higher during periods lie elections, festivals and other celebrations. The permissible noise level in Accra by the Environmental Protection Agency is 55 decibels during the day and 45 at night. There is no doubt that the level of noise in Accra these days is above normal and many of us see this as a way of life, and anymore who complains is looked at by society in a negative way, thus these excessive noise makers kill us slowly. According to EPA, the noise level in the capital Accra now is 65 decibels during the day and 58 at night. This level of noise has so many effects on humans. According to Accra Metropolitan Assembly, besides the discomfort of noise pollution on residents, health experts also say it has numerous health implications. 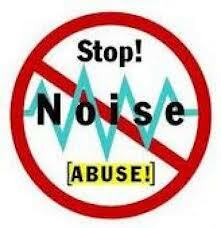 Exposure to loud noise causes stress, hypertension, hearing impairment among other medical conditions. Others who get exposed to excessive noise pollution also risk hearing loss, especially for people above 60 years. Daily Graphic (2010). It also causes sleep disturbances, a situation which can results in fatigue, psychological and mental disorders, interference with task performance and generates annoyance among people. Research has shown that continued exposure to noise levels above 85 decibels over a period of time could eventually damage one’s ear drums, meaning the louder the sound, the less time required before damage occurs. In Accra, loudspeakers blurring on way sides, some taxi and “trotro” drivers putting up their sound systems are all sources of potential danger to the ear. Beyond the effects, studies has also made it known that, noise can not only create stress but also increase workplace accident rates and stimulate aggression and other anti-social vices. According to Seidu (2011), even though evidence is limited, it is widely believed that changes in the immune system and birth defects can be attributed to noise exposure. Loud noise makes a person loose the reading, understanding and learning ability. One will also loose the problem solving abilities and may get the short-term memory loss because of the often exposure to the noise. Researchers show that children who study in noisy environment are showing very poor cognitive function. The Ghana Environmental Protection Agency (EPA) Act of 1994 (Act 940) mandates the EPA to prescribe standards and guidelines relating to the pollution of water, air, land, and noise in the country. Ghana permissible ambient noise as set by the EPA for residential areas requires that noise levels should not be above 55 decibels during the day and 48 at night. Seidu (2011). There is no doubt that noise is a public menace and an environmental pollutant a well and therefore the need to educate the citizenry on their rights and responsibilities in curbing if not totally eradicating noise pollution in Ghana. The EPA should create awareness on harmful effects and the health implications associated with noise pollution. People should also be educated on the consequences of breaking these guidelines and take firm actions in making sure that they obey them. Construction of sound proof rooms for noisy machines in industries and manufacturing installations must be encouraged. This is also important for residential building thus, noisy machines should be installed far from sleeping and living rooms, like in a garage. The use of horns with jarring sounds, motorbikes with damaged exhaust pipes, noisy trucks should be banned. Noisy producing industries, airports, bus, and transport terminals, railway stations and markets must be sighted for from living places. Community law enforcers should check the level of noise at worship centers, outdoor parties and drinking bars as well as public announcements systems to ensure they conform to the acceptable levels. Trees or vegetation should be planted along roads in residential areas as a way to reduce noise pollution since they absorb sound. Noise pollution presents an important public health problem that can lead to hearing loss, sleep disruption, cardiovascular disease, reduced productivity, impaired teaching and learning among others. It can impair the ability to enjoy one’s property and leisure time and increases the frequency of anti-social behavior. It adversely affects future generations by degrading residential, social and learning environments with corresponding economic issues. Because of these, there is the need to take a serious look at the solutions given and more. If this continues, we risk not just health but also economic and social consequences. Will we be willing to have a capital of deaf people? My guess is as good as yours. The Ebola Virus Pandemic: “A Weapon of Mass Destruction”? Is There More to Ebola Than we Have Been Told?